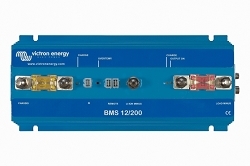 The BMS is designed for use with Victron Lithium Iron Phosphate batteries. 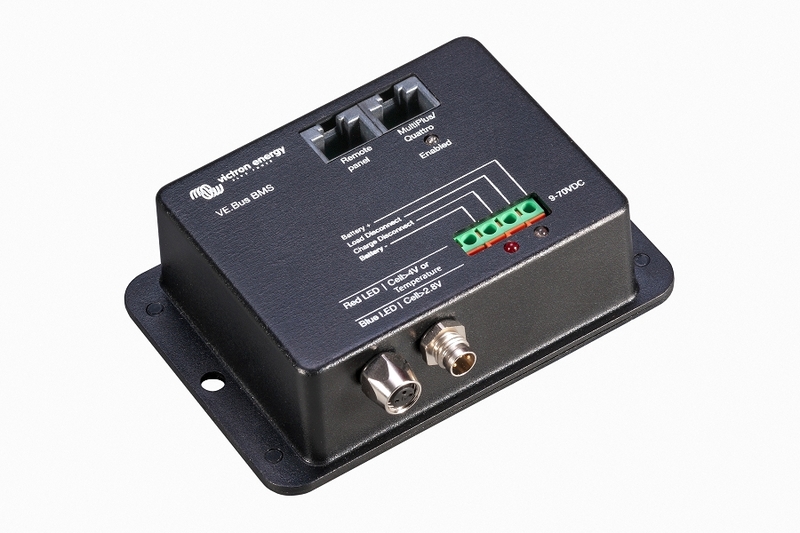 Its function is to manage the battery bank and prevent overcharging or over discharging. 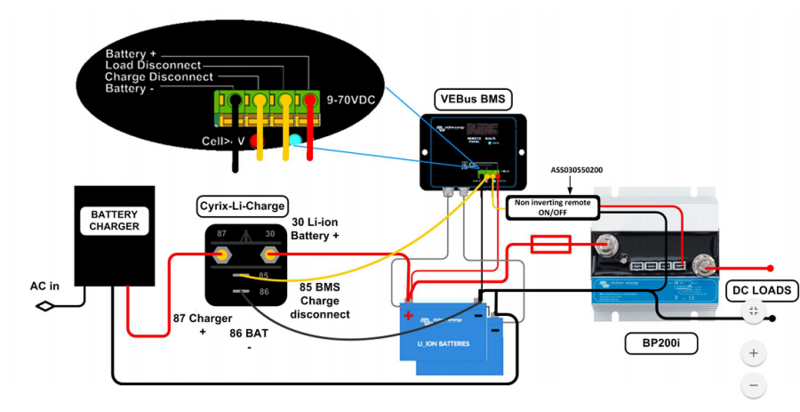 Shuts down or disconnects battery chargers in case of imminent cell overvoltage or over temperature. 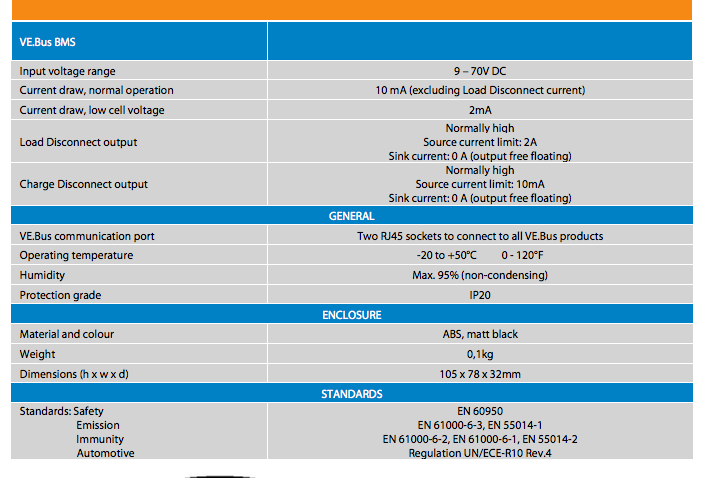 The operating voltage range of the BMS is from 9 to 70V DC. 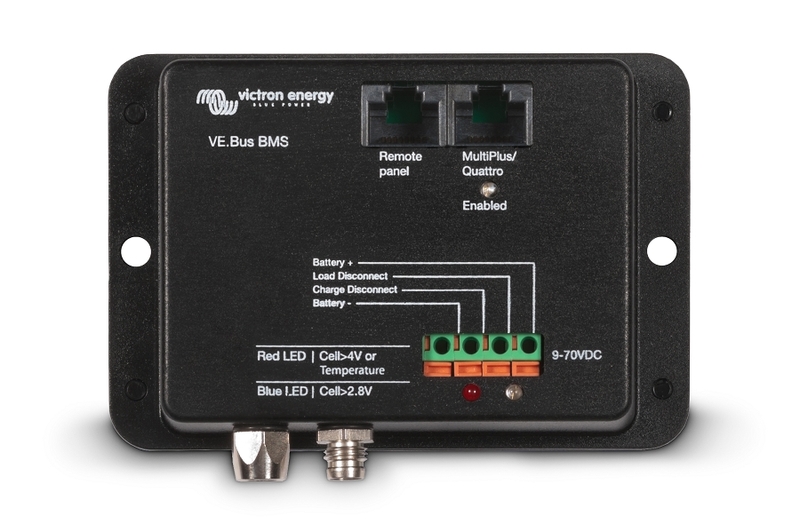 The VE.Bus BMS connects to a MultiPlus, Quattro or Phoenix inverter with a standard RJ45 UTP cable. Q: Can this be used with two banks one is lead acid and other day lithium ? 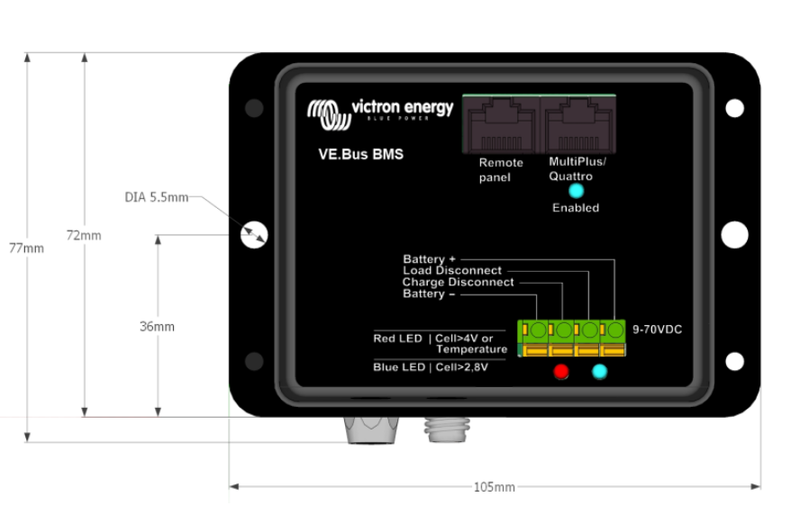 A: This BMS is ONLY for Victron Smart Lithium Batteries. 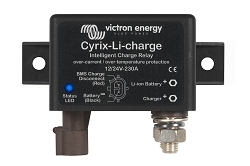 It doesnt work with any other kind of batteries, not even with other brands of lithium battery. 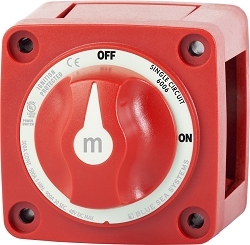 It has a data cable that connects to circuitry inside the battery. Its quite normal to have a starting battery with a different chemistry. 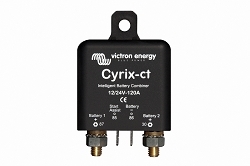 The BMS can control devices such as the Cyrix-Li-Ct that can combine the two different banks under certain circumstances but doesnt directly interact in any way with the lead acid battery itself.